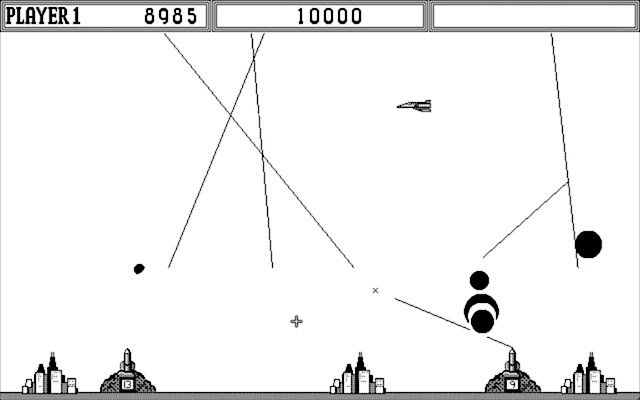 I sometimes receive requests for game reviews or demos which somebody's not seen since back in the day. Today, I was asked by STS to make a video of Time Slices by Defence Force for his awesome demoscene blog. 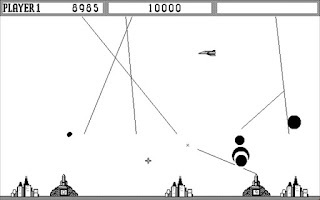 This is a monochrome demo for the Atari STe which was released at STNICCC 2015. 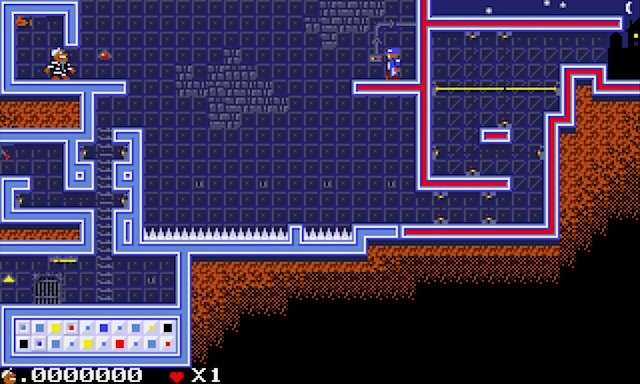 However, emulation and my old Mac play a good part in destroying the quality so I apologise for that. 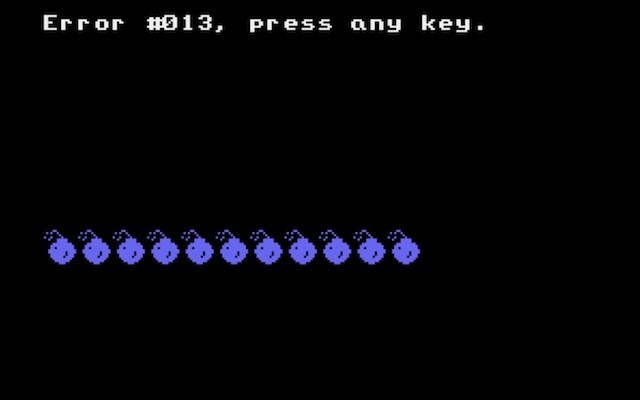 Thankfully, after a few minor adjustments, the sound improved and the darn thing stopped flickering long enough to give you guys a good idea how cool it is, especially for something Commodore themed!! ;-) However, nothing beats real hardware so dig out your SM124 asap. You know, I really enjoy requests so thanks to STS and don't forget to check out his amazing blog. It's always a pleasure to see something new in development for our beloved Atari ST but Sam Nasty is a little different. 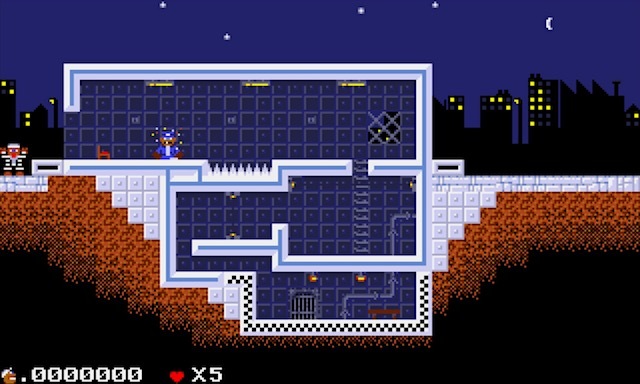 This cute puzzle-based platformer was developed back in the early 90s using STOS by Jerome Mahieux. 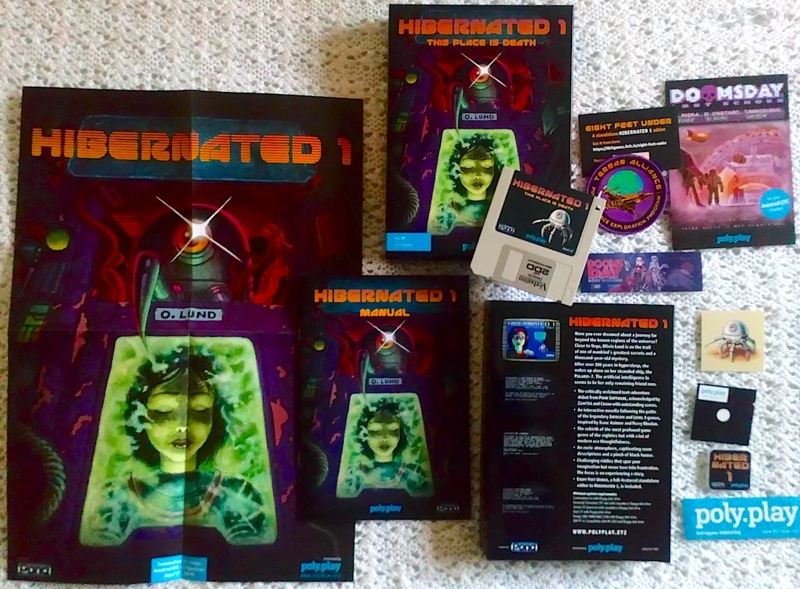 Oddly, he never released it, but recently found the disks and here we are today in 2019 with a beta to play! 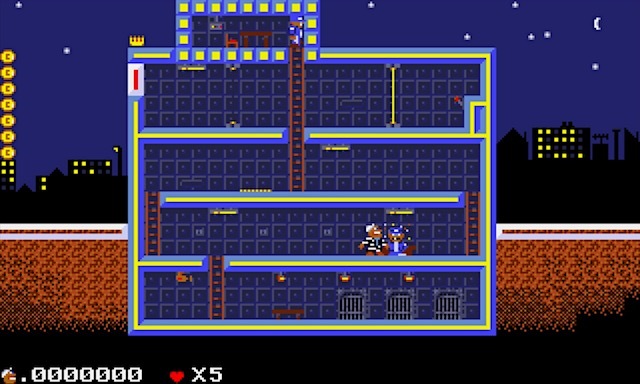 Upon loading, we're greeted by a nice title screen featuring help and other options to disable the sound effects/music. The game itself is a static-screen platformer and, with each level, we find ourselves trapped inside a prison so must find a way to escape. Now, this might sound familiar but it's also got some rather unique features too. The first prison is a great start and I thought it played a lot like Panic. Which is cool. Breaking out starts off easy but it's not long before Sam is inside prisons that put Alcatraz to shame. There are a variety of cunning pitfalls to avoid, so look out for things like laser beams that will zap you into an early grave! Also, there are patrolling coppers and some are even armed... Well, it's a good job our thug has the ability to punch! The graphics are nothing like I expected and are crisp with tiny decals and superb attention to detail that gave this old retro gamer a wonderful 8-bit vibe. Each prison looks great with a clear and concise layout which didn't confuse my old brain as it attempted to figure out Sam's escape. However, it's the sprites which grabbed my attention the most: the laughing police, Sam sticking out his tongue, but the best are those punched faces with their broken teeth!! Fantastic pixel art and something that will make the most miserable retro gamer smile with joy. Music is chip and great but Sam Nasty has the ability to disable it. So I did. Now, just listen to those sound effects and tell me you're not reminded of countless ZX Spectrum platformers!! Or is it just me? Anyhow, I like the music but I absolutely love those amazing sound effects. Yes, this is a happy day for me. Pure retro gaming gold!! The third takes the difficulty to a whole new level so it's now I realise that I need infinite lives!! Overall, Sam Nasty is a cool concept but I'm gobsmacked he didn't release this back in the day. I'm sure it would have gone down a storm so please take the time to download the demo and send him your feedback. Sam Nasty was incredibly entertaining and a genuine surprise so I'm really looking forward to the next release! I've been looking to see what iOS apps can make my life easier and ended up finding something called 'Memories'. This is umm okay but the freebie version adds a watermark unless you're willing to cough up the pennies. Now, I don't mind paying, if it gets the job done properly and eventually, I managed to capture this photo of Hibernated 1 which isn't too bad? So, pop pickers, any recommendations for this old man and his iPhone? Straight out of the golden age of Atari's retro gaming archives is Missile Command, a phenomenal shooter I played a lot but possibly more so on my old Speccy thanks to Ocean's Armageddon, a fantastic conversion. 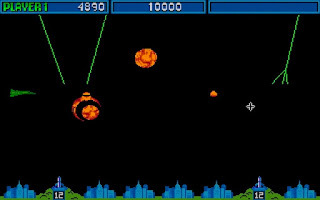 This cold war era shoot 'em up was all about protecting the cities of Zardon from a constant ballistic missile attack: aliens from Krytol noticed how prosperous Zardon is so want to free-roll in and take everything for themselves. 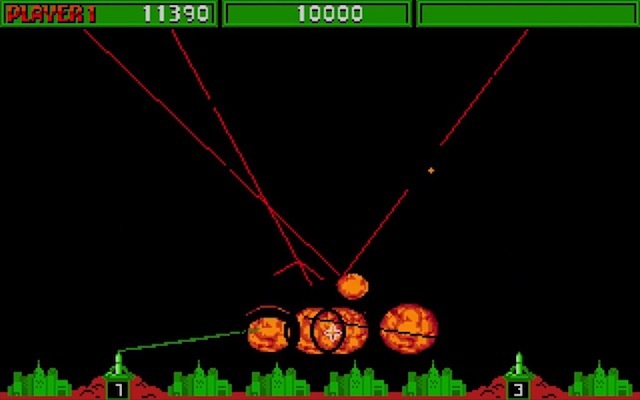 You are Zardon's only hope so grab hold of the mouse and use your arsenal to defend us all from annihilation! Yeah, baby!! 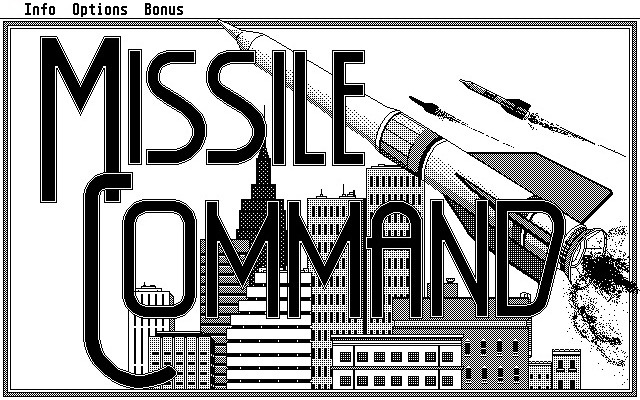 You heard that correctly, Missile Command supports colour AND monochrome. This game has always been darn cool and the ST has received a faithful conversion that feels just as good as I hoped. 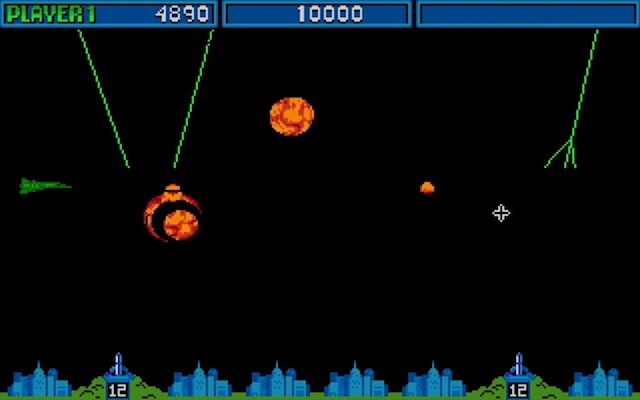 There's support for one or two players which can also be configured to enable/disable other features like the enemy's multiple warheads and smart bombs. Initial attack waves start at a slow and sedate pace (can be skipped) but this war soon gets crazy when the Krytolians start using faster missiles and dreaded smart bombs. Trying to detonate these is so tricky, especially during the heat of battle when you don't wanna run out of ammo! Unlike other home conversions, the ST game makes convenient use of its tank mouse which is just perfect for precise control. Both mouse buttons are used to fire a limited supply of ammo - the left button fires from the left base and, well, I'm sure you've guessed what the right button does? The controls are simple and genius. 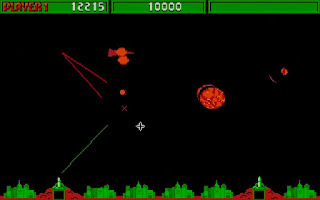 Sound effects are fine but I am a little disappointed Atari didn't roll their sleeves up and go that extra mile as we've all heard (far) better from the old YM chip. 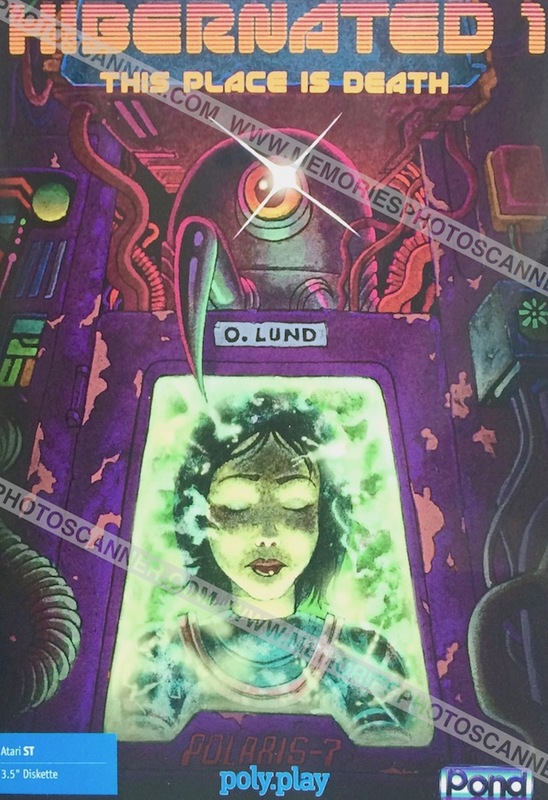 Also, this isn't exactly pushing the Atari ST to its limits, so why not use samples? Hmm, it's a little bland in the audio dept and definitely needed a something with a little pizzazz. 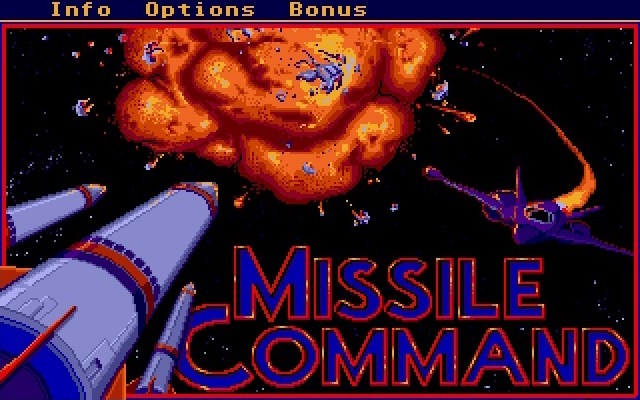 Missile Command is such a simple game and one of the best from that early era. 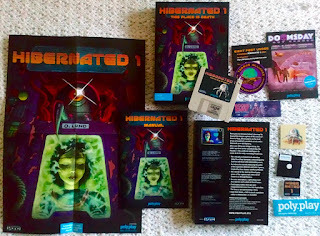 Fans of the original should appreciate what is an authentic arcade conversion and one which certainly brought back lots of great memories for me. This is fast, frantic and bucket loads of fun so that's a thrilling win in my book. A timeless classic. Okay, this was hardly a mind-blowing review as I'm sure everyone knows this great game so grab a floppy or the hard disk version and defend Zardon from its inevitable annihilation. I hope you last longer than I did in my video!! 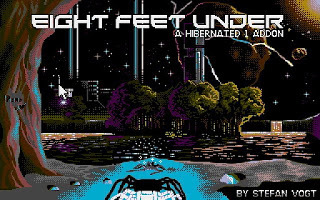 Okay, here are some nifty links you should try: Ludum Dare and Sébastien's own website. 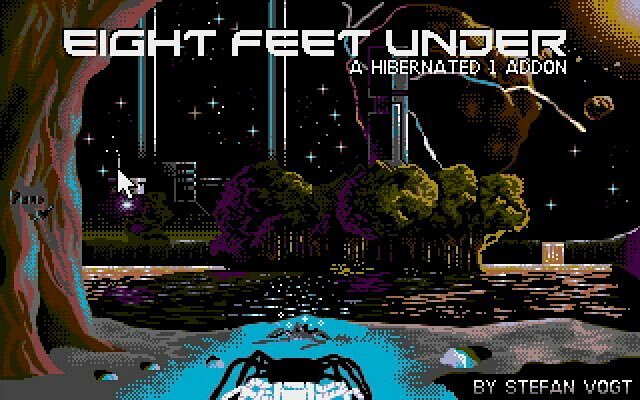 Hibernated was reviewed back in August (how time flies) and I included an animation to demonstrate the game's awesome sense of humour during the exploration - all links and a download/purchase are available here. You know, I think I might be getting back into the swing of things here... Atari ST #ftw ! !